Closet space is very important in order to be well organized. This is a walk-in but is narrow and things could get lost in the back. At present, it is empty and just painted. 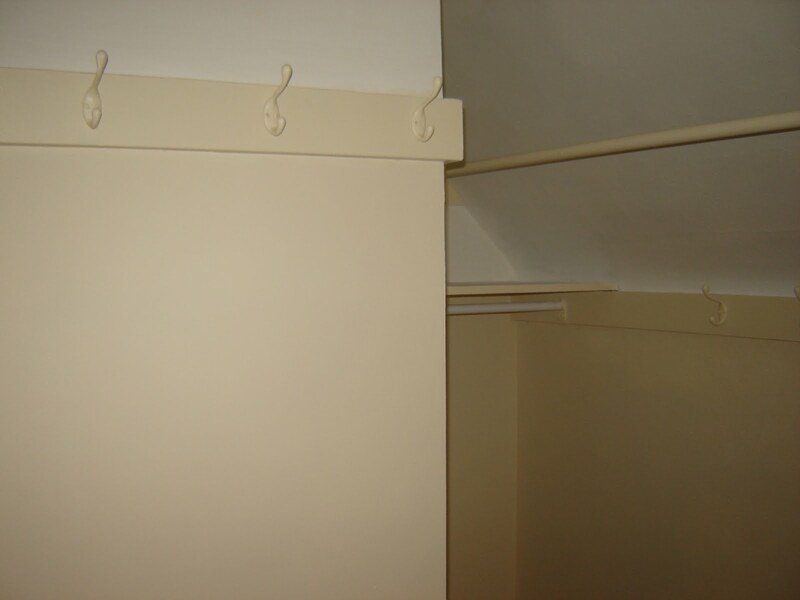 There was a shelf added to give some extra storage space where there is a slanted ceiling, and there are hooks for purses, belts, and bags. 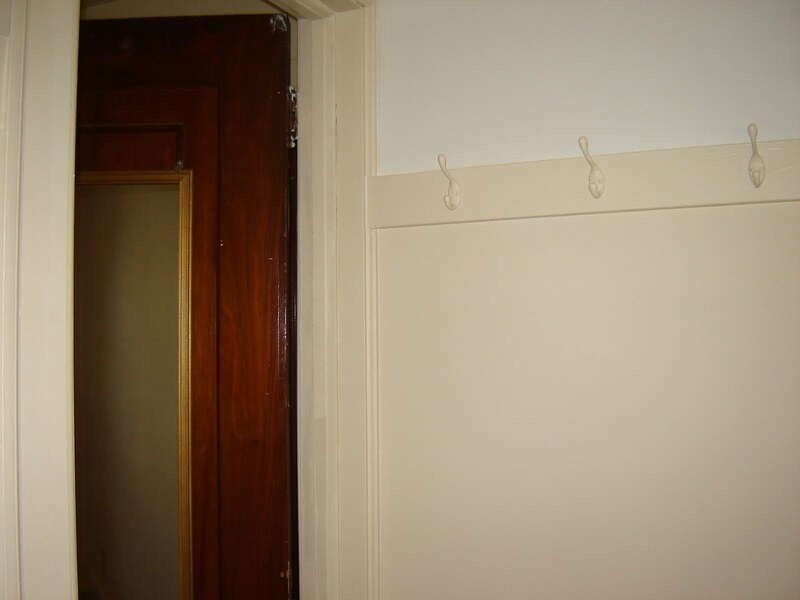 The long rail was the best option here and will hold long and short hanging garments. Suitcases will live under the short garments. There is a mirror on the door too.